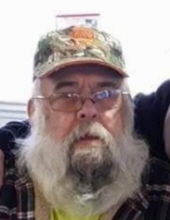 Celebrating the life of Bernard Andrew Keeney Sr.
Obituary for Bernard Andrew Keeney Sr.
Bernard Andrew Keeney, Sr., age 75, of Woodsboro, died Wednesday, April 3, 2019 at his home. Born February 4, 1944 in Frederick County, he was the son of the late Paul Anthony Keeney Sr. and Margaret Wetzel Keeney. He was the husband of Nickie Diane Stine Keeney, his wife of 55 years. Mr. Keeney worked as a plumber for RJ Smith and then Glen Waltz for 30 years. He also farmed and enjoyed butchering, hunting and fishing. Surviving, in addition to his wife, are a daughter, Melissa D. Harp; sons, Kevin W. Keeney and wife Rhonda and Anthony A. Keeney; grandchildren, Delilah, Kevin Jr., Andrew, Brandon, Aaron,Wyatt and Liam; great-grandchildren, Caitlin Rose, Axle Cole, Harleigh Paige, Autumn J., Andi Lynn and Parker L.; sisters, Eleanor Runkles and Bernnest Calvert; brothers, Paul A. Keeney Jr. and Calvin E. Keeney Sr.; and numerous nieces and nephews. He was predeceased by his son, Bernard A. “Bucky” Keeney Jr. in 1988; and sister, Lillian C. Keeney. The family will receive friends at Hartzler Funeral Home, 404 S. Main St., Woodsboro, MD on Sunday, April 7 from 2 to 4 and 6 to 8 p.m.
A funeral service will be held on Monday, April 8 at 10:30 a.m. at the funeral home. Interment will follow in Rocky Hill Cemetery, Woodsboro, MD. In lieu of flowers, donations may be made to defray expenses to Hartzler Funeral Home, P.O. Box 249, New Windsor, MD 21776. To send flowers or a remembrance gift to the family of Bernard Andrew Keeney Sr., please visit our Tribute Store. "Email Address" would like to share the life celebration of Bernard Andrew Keeney Sr.. Click on the "link" to go to share a favorite memory or leave a condolence message for the family.